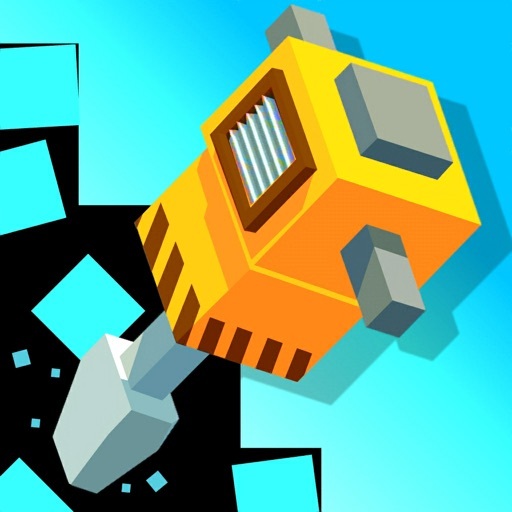 The most hypnotic jackhammer simulator! 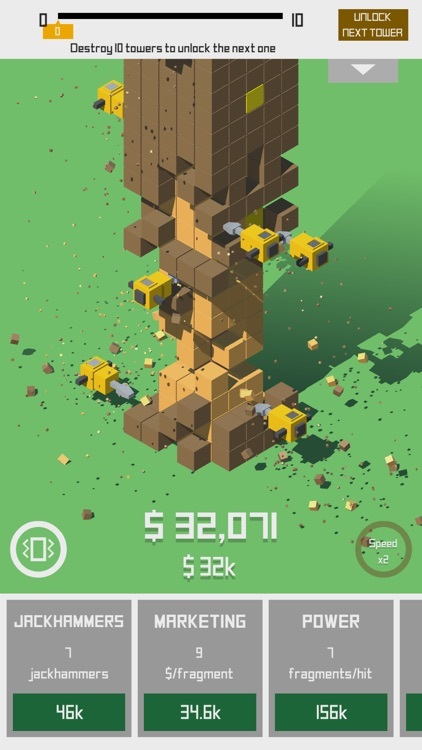 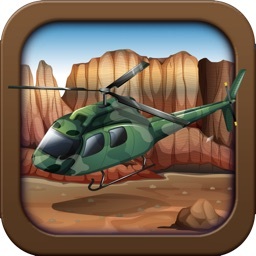 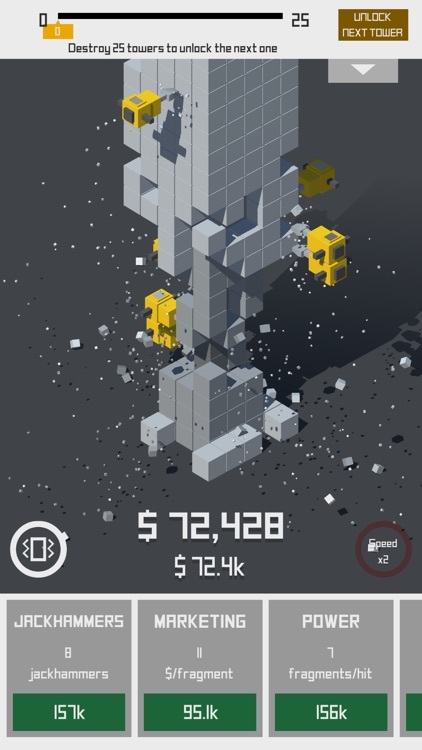 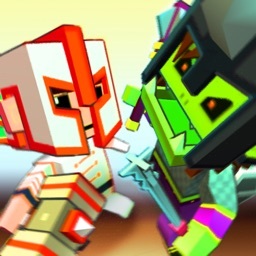 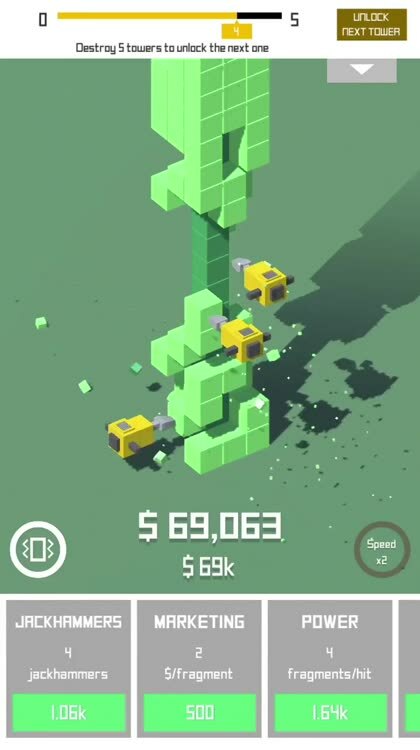 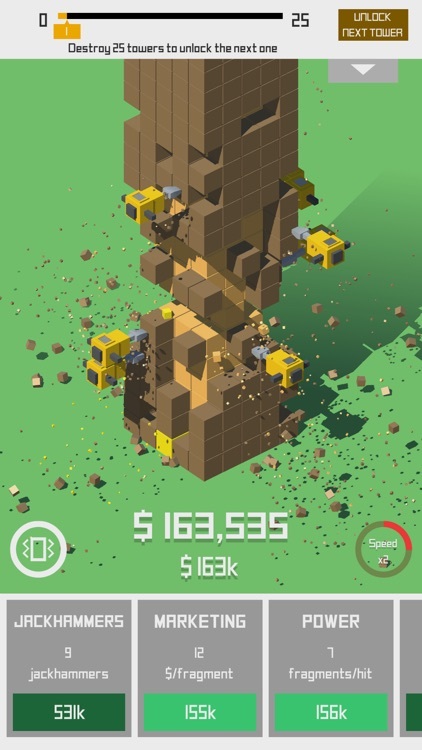 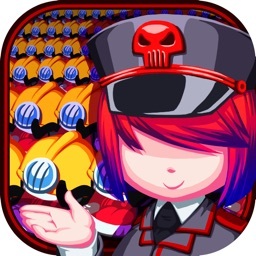 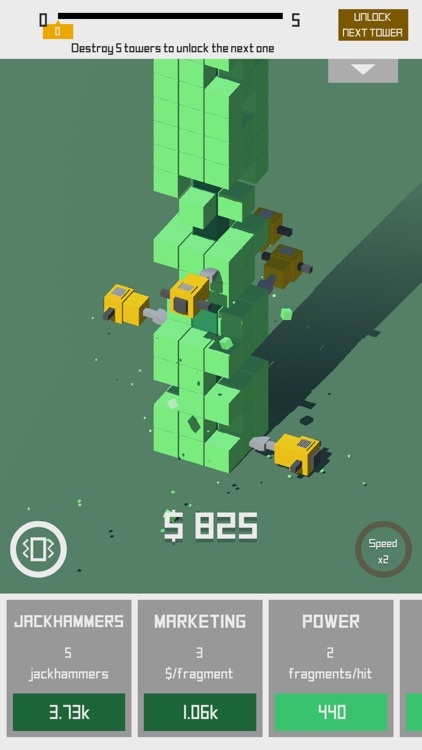 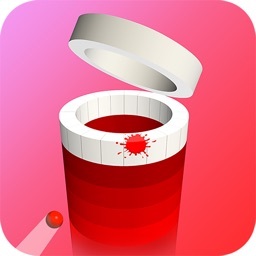 Build your army of jackhammers, upgrade, and destroy as many towers as possible! 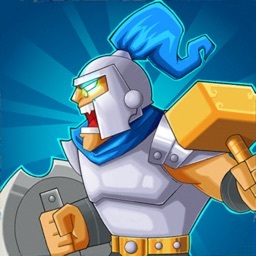 Unlock multiple funny and colorful towers, and reduce them to rubbles!